Tour operator Thomas Cook is evacuating all of its customers from the Steigenberger Aqua Magic Hotel in Egypt's Red Sea resort after two Britons died there this week under unclear circumstances. The daughter of a British couple who died at an Egyptian resort hotel last week under mysterious circumstances said Sunday that she believes something in her parent's room killed them. 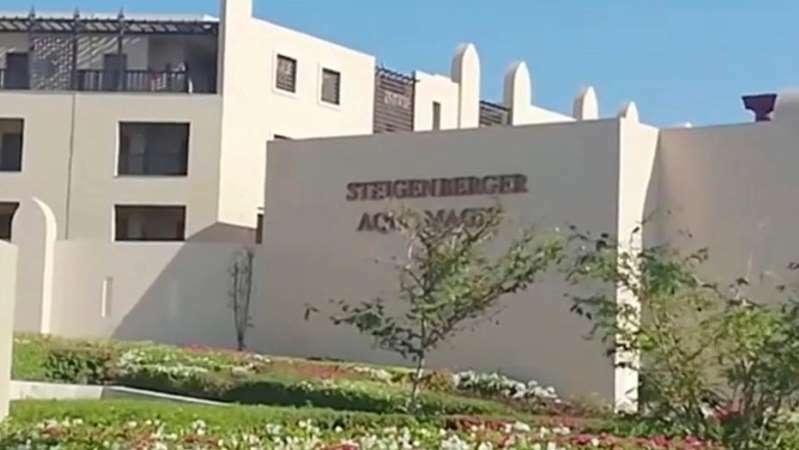 John and Susan Cooper died last Tuesday morning while on vacation at the Steigenberger Aqua Magic Hotel in the Egyptian Red Sea resort of Hurghada. The deaths of the couple, ages 69 and 63, prompted travel company Thomas Cook to evacuate 300 guests from the hotel as a precaution. The couple's daughter, Kelly Ormerod, said she is suspicious because her parents had been in perfect health hours before they died. She told Sky News that her father, John Cooper died in his room while her mother died after she was taken to the hospital. "I think when they went back to that room that evening there was something in that room that's actually killed them - whether they've inhaled something that poisoned them, I don't know," she told Sky News. "I can only have my opinion on what's gone on, but there's something that happened in that room that killed my parents." On Sunday, Thomas Cook Group CEO Peter Fankhauser told Sky News the company has brought in experts to test food, water, and air conditioning systems at the Egyptian resort hotel. "There is no evidence that it is a carbon monoxide poisoning. We have no evidence but I don't want to rule out anything before I really know the cause," he said. Fankhauser told Sky News that experts have taken "probes of the food, of the hygienic systems, of water, as well as the air conditioning systems and all those probes are now in Egypt," and that tests should take 10 days to complete. Besides the deaths of the couple, it has emerged that 13 other customers at the hotel had food poisoning. The hotel told The Associated Press in an email that there was no increased level of illness there and attributed the couple's deaths to "natural causes." The Egyptian prosecutor's office said it is awaiting a forensic analysis of samples taken from the bodies to provide more details, according to the AP.